These days, people tend to pay more attention to healthy eating and favor such cooking techniques that use little to no oil like air frying, steaming or sautéing. However, nothing can match the crunchy, tasty layer of deep-fried food: it is the guilty pleasure many can live without. Deep frying is more than just about putting food in a pan or wok full of hot oil. The following frequently asked question will provide you with essential knowledge about this cooking technique. 1. 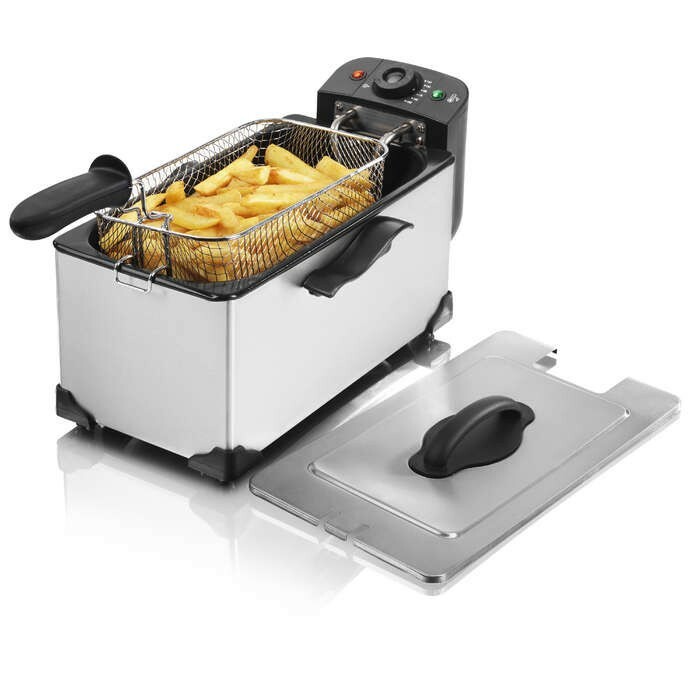 Is a Deep-Fryer is the Only Option for Deep Frying? Chinese people often use a wok – a type of deep pan with round or flat bottom and slanting sides. It must be secured firmly in place while cooking. If you don’t have either of them, don’t worry. Just choose a large pot with the thick bottom (for keeping steady oil temperature) and tall sides (to prevent oil splattering). A digital thermometer should be available to check on the temperature. 2. What is the Required Temperature for Deep-Frying? Deep frying requires high temperature: that is for sure. Foods generally contain at least some moisture, which does not mix well with oil and creates a barrier against oil instead. If the temperature is not hot enough, oil cannot get to food at all. But how much heat is enough? There is no clear answer for this because that depends on your recipe and the type/size of the food you cook. It is generally suggested to heat the oil above 350-375°F. After you put the food into the oil, the temperature will decrease a little bit so you should adjust the temperature accordingly. 3. What Types of Oil Should be Used for Deep-Frying? In choosing oil for deep frying, there are two things we must consider: smoke point and flavor. If the oil temperature is above its smoke point, the oil starts smoking and smells bad. Worse, it can cause a fire on your pan. Considering that the oil temperature for deep frying should be above 350-375°F, the following oils are recommended: peanut oil, sunflower oil, and canola oil. Stay out of sesame oil, olive oil, butter and margarines. 4. How to Tell that the Oil is Hot Enough to Put Food in It? For safe cooking and good output, it is essential that you heat up the cooking oil slowly. Before that, you should preheat the cooking appliance a little bit too: if you feel the heat when putting the palm of your hand about 2 inches above the appliance’s surface, it is ready for adding oil. To check the oil temperature, you can use a deep-fry thermometer. An experienced cook will rely on their experience or use a wooden chopstick to see if bubbles form around it. 5. How Much Oil Should be Added? Again, it is not an easy question to answer because it depends on what you put in the cooking appliance. You can follow the recipe you have if it specifies the amount of oil to be used. The general guidelines are to submerge the food completely on oil but leave enough room at the top of the cooking appliance (at least 2 inches) to avoid oil from overflowing. 6. How to Avoid Splattering? This is surely everyone’s concern. No one wants to mess with burning oil so food preparation is the key here. Before putting food into the hot cooking oil, make sure it is dry (you can use a paper tower) and let excess batter drip off batter-coated food. Also, you should not salt the food before deep-frying it. Salt causes the oil’s smoke point to be lower, leading to a quicker breakdown of oil molecules. Also, water will be drawn more to the food surface and causes oil splattering. You need to season your food, of course, but please do it right after you remove the food from the oil: salt will stick very well to the food surface. 7. Can Cooking Oil be Reused? – Dispose of the oil when it shows changes in color or starts smoking. 8. How Can We Make Sure the Food is not Grease/Soggy? Contrary to what a lot of people think, there is not a lot of oil on food that is properly deep-fried with the right technique. If you eat greasy food, it indicates that the cooking technique/execution is quite poor. The cooking temperature is too low, causing food to soak up the oil instead. It is essential to reach the required temperature to cook food thoroughly. The cooking appliance is overcrowded: putting in too much food at the same time will cause oil temperature to lower and even lead to splattering or spillage. To avoid this, you should deep-fry your food in batches. About half of the deep-frying basket is fine. You let food sit in the appliance longer than necessary: they key for delicious deep-fried food is to keep the time it gets in and out of the hot oil as little as possible (but of course, there must be enough for the food to be fully cooked). As soon as the food is cooked thoroughly, take it down and use a paper tower to drain off excess oil. 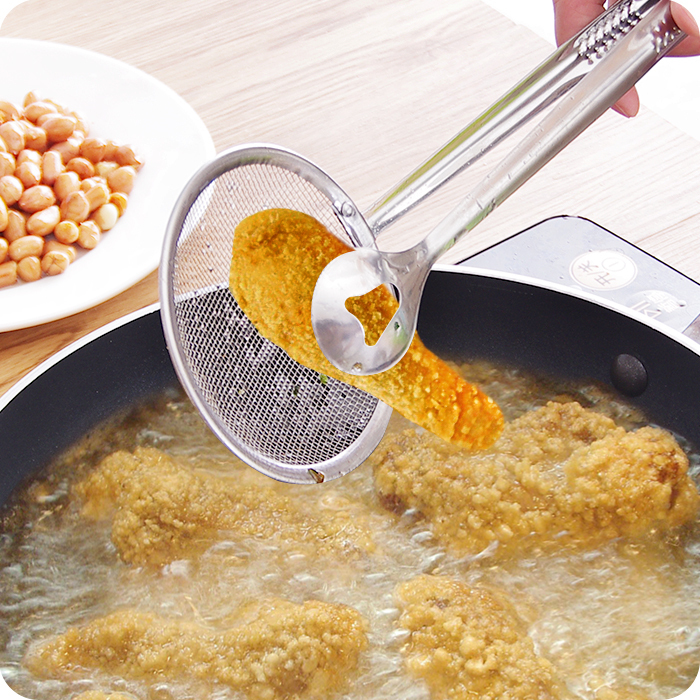 With proper technique you can even deep-fry your food twice with no problem if you really want a better crisp coating. 9. How Should We Clean Cooking Appliances for Deep Frying? The answer depends on the type of cooking appliance you own. However, whatever it is, make sure you wipe out food debris and oil residues from it before you start washing. Don’t use abrasive materials: paper tower is the best choice. For washing, you can use warm, soapy water (it is best to avoid chemical cleaners). To dispose of cooking oil, pour it into a bag or sealed container.